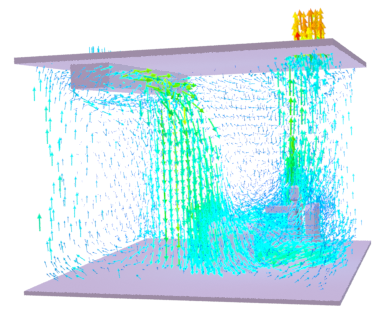 Found some professional grade 3d CFD software that is free for opensource projects. It (an example) crashed my browser (Pale Moon/Noscript). This uses OpenVDB, which can encoded arbitrary data like temperature along with the pressure and velocity. I suspect that having access to cloud storage is helpful but does not guarantee great source programming. I think this is cloud based, you almost cannot buy AutoCad for your computer anymore as the lease options using the cloud are so much more affordable. 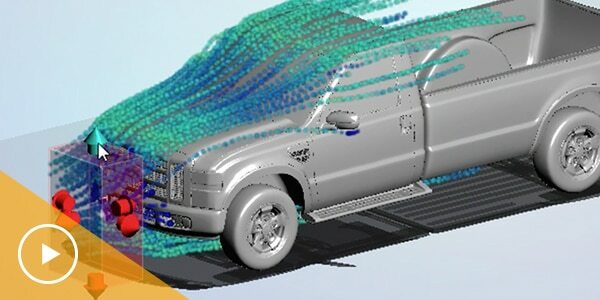 Flow Design virtual wind tunnel software simulates airflow around buildings, vehicles, consumer products, and other objects. Short demonstration videos in link above...............looks very interesting. This example is tangential, but I see opportunity for improvement in the visualization. The example would be windy.com. They display weather, but have switchable layers that utilize heat maps, animated particles and isolines.